Computer controlled workflow (Workflow Engine) is integrated into several solutions of the MePIS family. You can also use it as an independent component. 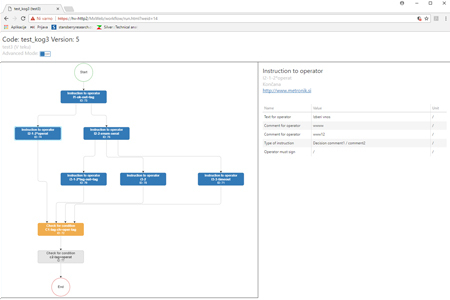 It enables you a computer-controlled directing of manual operator activities, an orchestration of autonomous and automated process systems as well as triggering predefined action.